Irish Institute of Neuro Linguistic Training | Professional Growth. Neuro Linguistic Programming is the study of how we think, communicate and behave. NLP is used by people from all walks of life for both Personal and Professional growth and development. The Irish Institute of NLP provides fully Licensed and Internationally Accredited NLP Practitioner, NLP Master Practitioner and NLP Mind Coach qualifications and services. The Irish Institute of NLP is an organisation set up with the mission of providing first-class, top quality NLP training in Ireland, as recognised by the Society of NLP and the co-founder of the field of Dr. Richard Bandler. We are internally acclaimed for teaching NLP as it was meant to be taught – and giving people the tools they need to manifest lasting change in their personal and professional life. The Institute was established in 2001 by Owen Fitzpatrick and Brian Colbert. 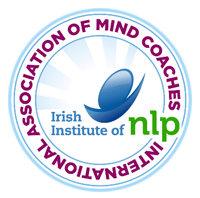 It is officially Ireland’s first, and most successful NLP institute – recognised by the Society of NLP (the oldest and largest training NLP organisation in the world). First and foremost, Brian and Owen both love what they do, and are extremely passionate about changing people’s lives for the better. Furthermore, both are the only Master trainers of NLP in Ireland – displaying a sophistication and elegance in delivering their NLP training that has proved the cornerstone of their success. Brian and Owen are in high-demand worldwide, delivering training across 4 continents and publishing numerous best-selling books. The Institute has received international attention in both the public eye and in the corporate training, regularly appearing in the Irish media and providing tailoring training to some of the largest multinational companies in the world. If you are interested in receiving insightful and effective NLP training in Ireland, there is simply no better organisation to refer to than the Irish Institute of NLP.